A large portion of Internet users don’t really care what the services they use do with their personal data. A lot of people don’t even keep updated with Technology and Social Media news sites to know what’s happening in the tech world. It’s okay, though. If you’re not interested in technology, you don’t have to. But there’s something going on that you really need to know despite the fact that you can’t really do anything about it. So, what the heck is this all about? Let’s be real short to describe it. 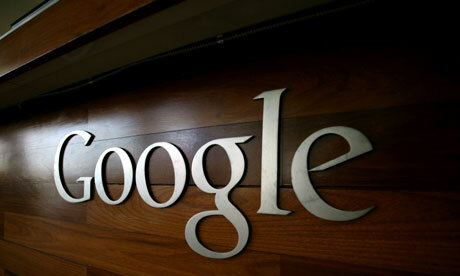 Google is combining all your personal data collected from different Google services. With that said, Google can gather all your activities from Gmail, Google Docs, Google+, Google Search and over 60 Google services that you regularly use. For example, previously YouTube knew what you were searching while you were logged in. Gmail knew what your messages were all about. Google+ knew what you’re talking about, what your interests are and what type of activity you’re involved in. But Gmail couldn’t deliver your personal data [of what you’re talking about] to YouTube or Google search so that Google could target your interest and provide better-matching advertisements. As a result of that, Google can now draw a virtual you. It knows everything about you. Privacy experts said that you’ll not see any difference because Google is not gathering more information than ever before. It’s just combining all information from various services and virtually creating your identity and determining your interests to show you better results and better ads which equal to more profit for the company. Although you used the same account for all Google services, Google did not know much about you. With new update, Google can now see what you’re doing across all of its services. You won’t see any changes. No dramatic change will take place for you to notice. It’s all happening in the backstage. You may start seeing ads that really interest you. That could be because you expressed interest on that topic somewhere on Google’s services; possibly Gmail or Google+. And finally, to find everything else, there is Google Search. Now you know why there is something to be concerned about. However, Google claims that everything is for better user experience with Google. It’s just time that will tell us how better our experiences become with all things Google. Prev Samsung Champ Has Got A New Owner, Guess Who? Nice summary! Been reading a lot about this, getting mixed messages. Happy to see it cleared up here! Thanks Anna. I wanted make it as minimal as possible so that anyone can understand what’s really going on. I’m all for it! I have nothing to hide, would be quite happy to longer see adverts for viagra or would I like to meet?… which I have no interest in and start seeing adverts that DO interest me – plus more accurate google searches and so on. I have no fear of anyone really knowing everything about me and it seems to me – as long as Google DON’T share this with others – that anyone who doesn’t like it may well have something they want to hide. If that is the case then maybe they need to clean up their act! Many people just don’t like the idea that Google is doing business with their personal data. It has become virtually impossible to stay out of Google stuff. This especially applies to those who have already been using Google products. There’s no harm in what Google is doing. People just don’t like the thing that a company is portraying them with all their activities online. Ok you’re freaking me out here… just like you said; there’s really nothing we can do about it. I mean the only option would be to leave Google but that’s out of the question for me. When I read their message, I got that something huge is going on but it still didn’t like… scare me. But you did! :x! Google talks too politely that’s why it never freaked you out. I spotted on Google blog today that they wrote, you can anytime control your privacy settings by turning off YouTube history or Google Web history. What that practically does is makes all activity invisible to you. But in the backend, Google does reserve a copy of everything you did. They didn’t mention it anywhere. But it’s a common sense. These information are priceless to Google. They will never delete anything even if you turn things off. Nothing to omg here. Did you know Facebook never deletes any photo even if you delete them? It’s an open secret. Sometimes the news flashes on popular tech sites. But you know, Facebook is powerful so it gets lost in the smoke. Maybe it’s not like we don’t know it. It’s more like people don’t think about it, and then when someone tells it like this it gets a li’l bit shocking. Yea, people don’t care in the first place.